Imagine that you had never heard of the Pythagorean Theorem (a2 + b2 = c2), and that you did not have a ruler. Using only the drawing below, determine the exact length of line segment WX. 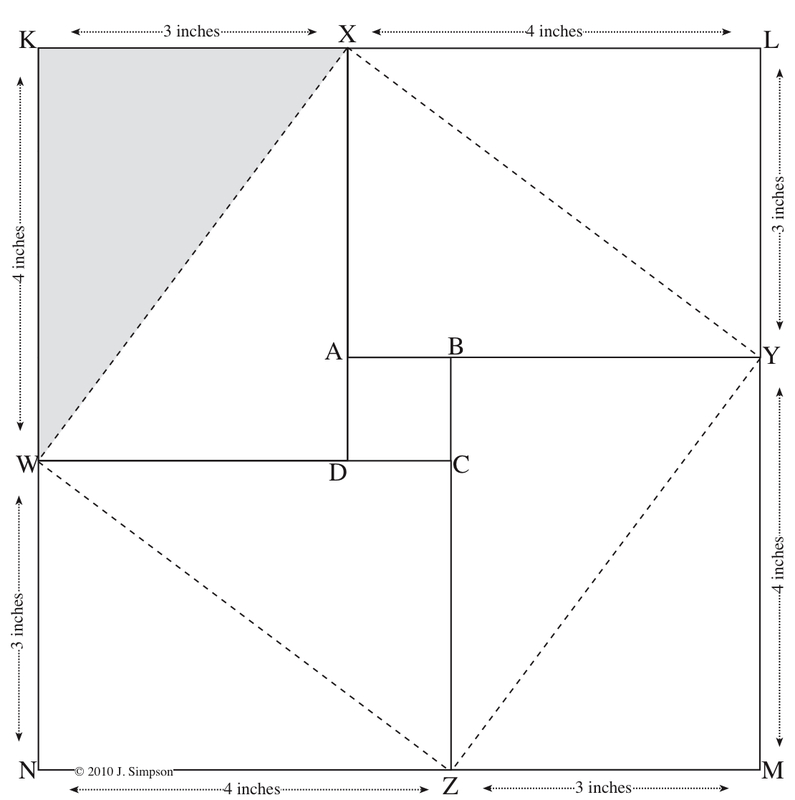 All corners that look square are square. The answer will be posted next week. Its on its way. The answer will be posted here on 2/22.